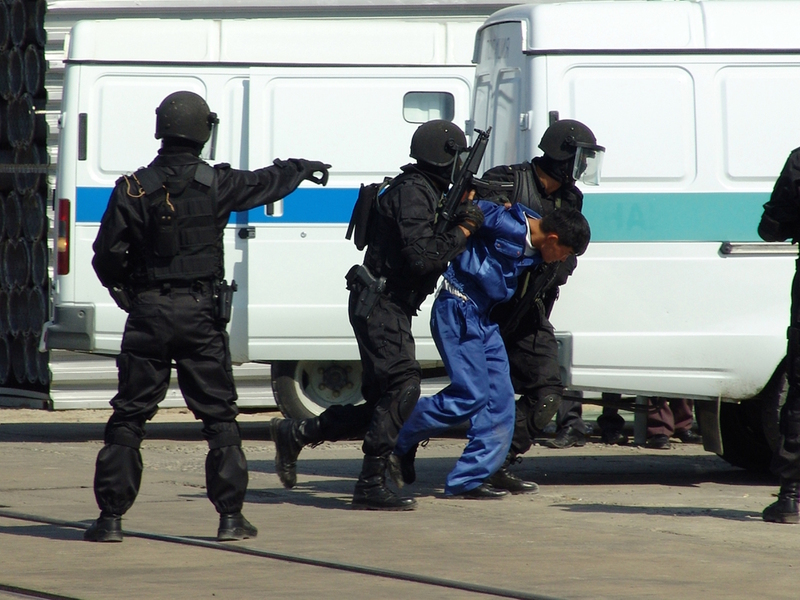 ASTANA -- Authorities in Almaty Province August 18 detained four suspected terrorist plotters, the Kazakhstani National Security Service (KNB) said in an August 22 statement. The four are citizens of Kazakhstan and Kyrgyzstan, the KNB said, adding that authorities seized "home-made bombs and extremist materials" from the suspects' residences and specially devised hiding places. The suspects planned to attack KNB buildings and personnel, police and military units, the KNB said. They were also allegedly planning a second set of terror attacks on public places. Security forces have been busy all year.